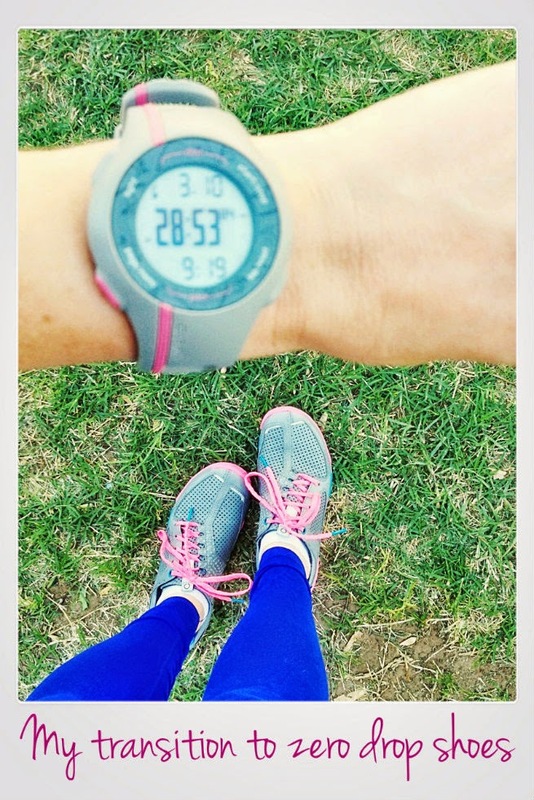 Sunshine to the Square Inch: Zero Dop Running Shoes – My transition & are they for you? Zero Dop Running Shoes – My transition & are they for you? If someone would of told me a few years back that I’d be transitioning to a minimalist running shoe I would have quickly dismissed the idea entirely. 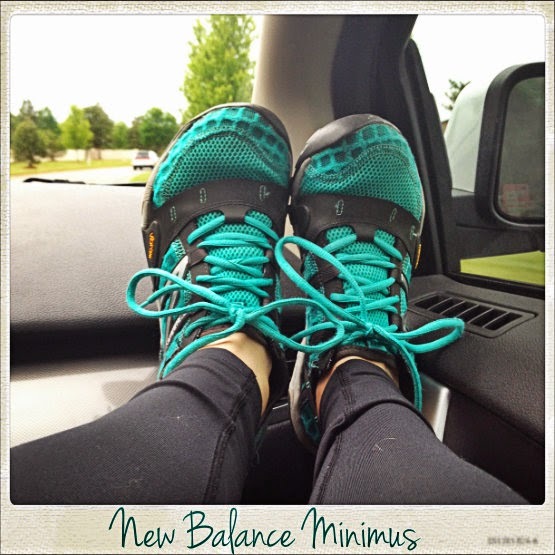 I have been evaluated for running shoes and knew exactly which ones I needed, and trust me, minimalist shoes were never a suggestion by the running stores. However, that has all changed and today I wanted to answer some frequently asked questions as well as how I transitioned. What are zero drop shoes? "Zero Drop is simply a 1:1 ratio—meaning that the heel & forefoot are the same distance off the ground (there is no ‘drop’ from heel to toe). If your heel needed to be elevated off the ground above your toes, you would’ve been born this way! Zero Drop takes the concept of a natural approach to running and eliminates the heel elevation in footwear." (source) Another great article defining zero drop can be found here. Why run in zero drop / minmalist shoes? People say minimalist shoes are like running barefoot. It strengthens your muscles and allows you to run real. To be honest, that is not the reason I switched over but I’ll address that further in the post. I will tell you that I feel stronger because of running in zero drop shoes. Why I switched to zero drop shoes? The whole reason I switched over to zero drop shoes was because I started doing crossfit again. In crossfit you do a lot of movements that require you to be on your heels (think below parallel squats and a lot of lifting). Many running shoes are built to push you quickly from your heels to your toes, mimicking most runner’s form. Crossfit wasn’t impossible but it was harder to stay on my heels and so I purchased my first pair of minimal shoes. I purchased a NewBalance minimalist shoe with a vibram sole. The minute I tried them on they felt super duper amazing and almost like a house slipper! They were so comfortable! I'm sad to say I can't find that exact shoe anymore! If I did I'd buy another pair (or two). They do make similar ones that work well! I also love this shoes because the sides of the shoe tongue are attached so it stays in place. Having a shoe tongue slide to the side is a huge pet peeve of mine so having a shoe with one that stays in place is amazing! Slowly! Switching to a minimalist shoe is a process. Because there isn’t a lot of cushion all those tiny muscles in your legs get a workout like they have never gotten before. Looking back I probably should have started much slower. 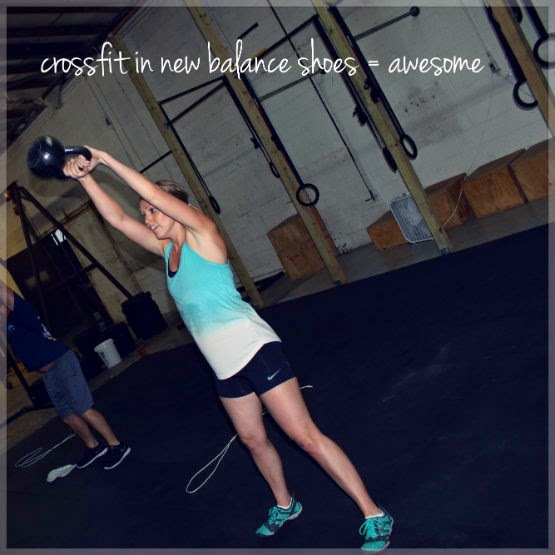 I began by wearing them to crossfit, which definitely worked all the small muscles! I then would wear them to hike with Dave and sometimes I would wear them when I ran errands. I’ll be completely honest and tell you my feet hurt and I thought something was wrong but, after a month or two, all those little muscles were stronger and it worked great for me. I never really planned to run in zero drops until that day when I put my running shoes back on and I felt weighted down. My feet felt so heavy and my shoes felt HUGE compared to my minimalist shoes. I randomly decided to throw on my NewBalance shoes and out the door I went … for a 4 mile run. I don’t recommend that at all! I have a sensitive spot on the left / back part of my heel now and I know it’s because I went out and killed 4 miles in a minimalist shoes. You need to do short runs to start out. Definitely not like I did! -run : when you feel ready to run in them start in small increments. Run .25 miles in them and then go back to your old shoes. Your muscles will still get a workout from those short runs. On your next run complete .50 miles in the minimalist shoe, then .75 and up. If your feet get too sore decrease your mileage until you feel ready. Basically you need to listen to your body. Who should run in minimalist shoes? I'm not a doctor and this is solely my opinion. I think people who have been running a while and who want a more ‘natural’ feel would be great candidates for running in a minimalist shoe. I don’t think zero drop shoes are for everyone. If you are just starting to run I’d recommend going to a running store and getting evaluated for a shoe that offers great support. Once you have a good base mileage built up then I think it would be great to transition. I also know some people have health issues and their doctors don’t recommend the zero drop (think severe knee issues). Make sure it is for you and be safe about your transition. What I run in now? After my ankle became sensitive I decided to look into lots of options for zero drop shoes. I still wanted a minimalist shoe but one that provided a little more support and a teeny bit of cushion. I ended up purchasing a pair of SKORA Forms and really enjoy them. The forms are the shoes I'm wearing in the picture at the top of this post. I’ll be doing a review on the SKORA shoes as well as offering a discount code next week! If you are thinking about buying a pair of minimalist shoes I highly recommend SKORA (+ you will get a discount). Also, If you are thinking about switching over to a minimalist shoe feel free to ask me any question, anytime! You can ask in the comments below or e-mail me as well. -What are you thoughts on zero drop / minimalist running? I know people have a vast array of thoughts on it and I’d love to hear yours. -What shoe do you run in and why? I read how good it is to get your body used to minimal shoes. Better for your back, which is my issue. I have heard it is good for your back too. My cousin had terrible back problems and she switched to Newton's. She said they make you run completely different but her back has been much better since using them. These sound like great shoes! I have always written them off though because I pronate so much! It makes more sense to go with the natural flow of your foot! I don't know if my current running shoes qualify as "zero-drop" but they're on the more minimalist side and I already know there is NO way I could go back. I feel so clunky in regular running shoes now. I feel much better with the minimalism. I pronate inward. I'm 110% that isn't the correct terminology but you get what I'm saying =). I thought the same thing you did but I'm telling ya once you try them out it's so hard to go back! Well, what is your shoe?! I'm curious now. I'm also curious as to how you stay disciplined and run without ever running a race? That's some good discipline you have. I 100% agree with the feeling clunky in normal tennis shoes. I'm still holding onto mine though because I'm going to keep them to use for dirty projects, ie painting, gardening, etc. My last couple pairs of running shoes have slowly gotten lower and lower towards a minimalist. My hubby just straight up switched, but I have more sensitive feet and have been making a much slower transition. I think my next cycle of shoes will probably be a minimalist. Like you, my hubby loves his. Very interesting! I've been curious and unsure if I would like them. But more interested in trying them now! Thanks for the suggestion! Easing into something? That is a foreign concept to me. ;) I have started wearing my minimalist shoes to run errands and for long walks around the neighborhood--so I know I can walk 3-4 miles in them but I haven't tried running more than a mile in them and MAN was I tired. I guess I'll have to work up to it! Haha yeah that's right "pronate"! Well that's interesting maybe I will have to give them a try the next time I need new shoes! I think a slow transition is good. You know what is working for you and what isn't! I also think with being pregnant the extra cushioning might be nice. You are welcome! I was unsure too for a long time. I think that's normal. Me too! However, running errands and walking is considered easing into them. At least you didn't throw them on and start training. Yes to the tired muscles when you first start running. It does get better though and it sounds like you are right on track. I tried those shoes on! I think they are a good shoe but they didn't fit right on my foot. I know a lot of people enjoy them though! I love your running goals / aspirations. 3x a week is really good!